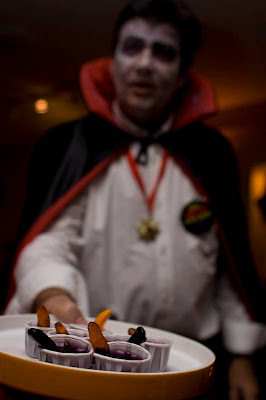 so i realize that it's january, but i had some requests for the photos i took at halloween last year. i've never been to such an elaborate halloween party before, though i can imagine how much more spooky it could have been. the amount of time that it took to prepare the decorations and meal must have been daunting. these were the party favours. 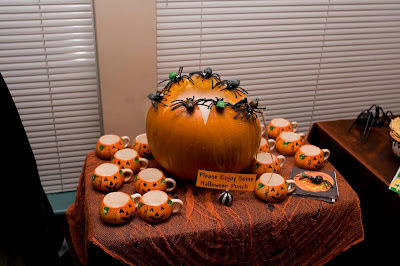 imagine a halloween-themed wedding - these would have been perfect! 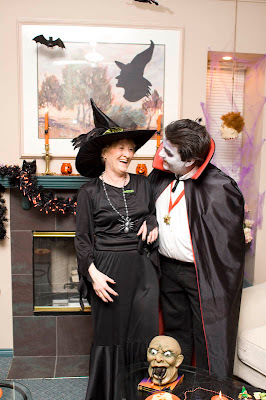 the hosts of the nights haunting evening - mark and sheila. 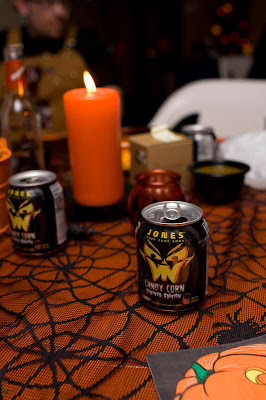 personally, the highlight was the candy corn flavoured jones soda. care for some jello shooters (excuse the worms)? 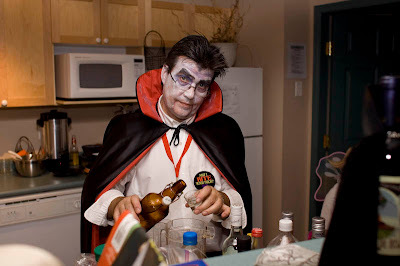 can't wait for the next halloween party! thanks for organizing such a fun night!